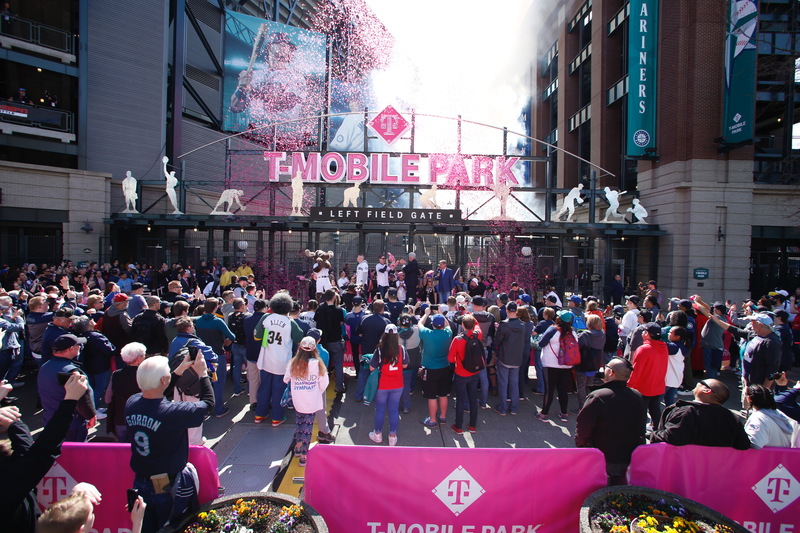 If the pre-game includes performances by music legends like Macklemore and Mike McCready, followed by a first pitch from a fan-favorite hometown Hall of Famer, it can only be opening day at one place in all of Major League Baseball: T-Mobile Park in Seattle. 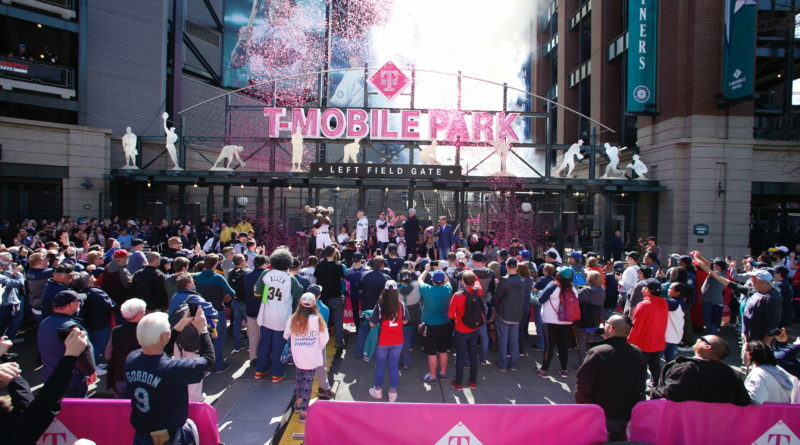 When the wireless provider inked a 25-year naming-rights deal with the Mariners just before the 2019 season, it set out to bring its customer-obsessed Un-carrier attitude to the ballpark experience through up-leveled offerings for fans – hello, high-speed charging stations! – but also to further underscore T-Mobile’s commitment to the greater Seattle community. In that same spirit, T-Mobile also has some major league plans towards its local giving initiatives. Inspired by the company’s incredibly popular customer appreciation app, T-Mobile Tuesdays will come to life at the ballpark every Tuesday home game, showering fans – even those on Verizon and AT&T – with surprises like VIP ticket upgrades and free Mariners swag. But the initiative will go even deeper in its giving, with T-Mobile and the Mariners teaming up to thank a different charitable organization that drives local impact and awarding it with a $10,000 Home Team Grant, as well as free tickets and prizes for members of each organization. Starting today with the local chapter of the Make-a-Wish Foundation, and then at every Tuesday home game throughout the regular season, 14 organizations that are committed to making Seattle a better place will receive a total of $140,000. It’s T-Mobile’s and the Mariners’ way of celebrating and saying thank you to these all-star organizations, which throughout the season will also feature: Ignite Worldwide, The Nature Conservancy, Challenger Little League, Team Rubicon, USO Northwest, Special Olympics Washington, GLSEN, United Way, Hopelink, Boys and Girls Clubs of America, Seattle Children’s Hospital, Year Up and Fred Hutchinson. And, it’s a simple recognition by T-Mobile that neither a company nor a community can thrive without its people, and an appreciation of each and every person who’s made this special and historic first day of a 25-year commitment to the community possible.